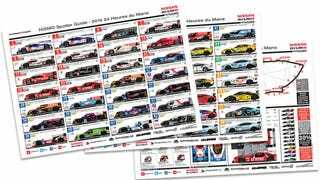 Le Mans brings out a lot of wild one-off liveries and extra entries that don’t typically run the full World Endurance Championship season. How can you tell who’s who? With a handy spotter guide, of course. Here’s Andy Blackmore’s latest edition, updated with all the liveries that went through scrutineering.